Eight of the 10 songs are originals by the leader of this project. The others are covers of a Herbie Hancock classic, and the other was written by one of the guest musicians. 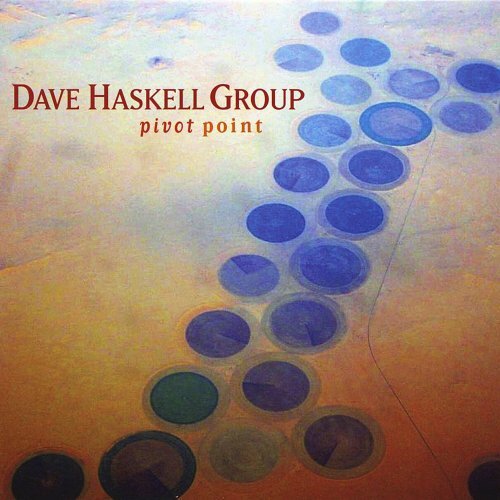 So Pivot Point by the Dave Haskell Group (Coastal Sky Productions, 2012) is clearly Haskell having his way. Still, one can’t help but notice the substantial dose of Yellowjackets, particularly when the members of that group appear on the same tracks. The Dave Haskell Group consists of Haskell, guitars; Dan Zemelman, piano and keyboards; Aaron Germain, electric and acoustic bass; and Alan Hall, drums. Yellowjackets founding members Russell Ferrante, piano, Rhodes and keyboards, and Jimmy Haslip, electric bass (percussion on one track) appear on four tracks. On two of those four are drummer Toss Panos and guitarist Robben Ford. Ford, who wrote “Monty,” was leader of the Robben Ford Group with Ferrante and Haslip as members before the latter two turned toward instrumental music and became the Yellowjackets. “For Barack,” an apparent tribute to United States President Barack Obama, starts off with emphasis on Hall’s stick work. It quickly evolves into a virtuoso performance by Haskell, with plenty of help from his sidemen.